← A new year, a new me! Sooner rather than later! Wow! You are definitely organized. I love the colors. I’m a big organizing nerd so I ate this up. I have a recipe binder and a chore list on my fridge and a list of “healthy” meals for when I’m in a hurry and have no idea what to make. 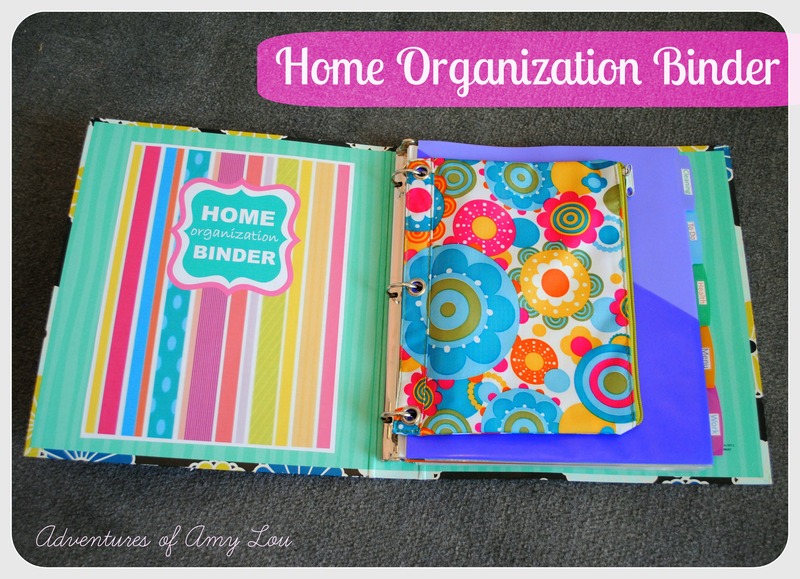 I can see how a binder like this might come in handy! Thanks! I usually TRY to be a big organizing nerd but I usually give up after a while but I’m not letting myself this time! So far having my binder has helped keep me motivated! I like the list of healthy meals for in a hurry idea! I need to do that and add it to my health section because a lot of the time when I break my healthy eating is usually because I can’t think of anything good at the moment that is quick and easy! Do you have any good suggestions that you like a lot? I usually pin a bunch on pinterest but then it’s time consuming to go back through all of my pins to find what I want at the moment! The Crock Pot has been my lifesaver! I keep tons of veggies and frozen chicken in the freezer and make sure to have a can of cream of chicken or cream of mushroom in the pantry. Last night we had mushroom mozzarella chicken with spinach (and I am no chef, mind you) and I made it with tricolor rotini so we could get a few more veggie servings in there. I also have a pretty good recipe on the blog for a veggie wrap that I can never get enough of. I am going to be posting another recipe today for a good rice dish. If you have a slow cooker, just keep tons of frozen veggies in the freezer. You can put them in ANYTHING (I also put spinach and zucchini with frozen green peppers and onions in my turkey for tacos. Goo never knows and spinach has a tendency to look like seasoning once it’s cooked into something). Oh those are GREAT ideas! Thank you! Usually the veggies I have are only fresh so I will have to make sure I start keeping a stock of frozen to make meals with! I do have a slow cooker but I find I don’t utilize it enough! Looks like I need to a lot more! I’m going to have to check out those recipes to try later! Thanks again! The best way to think about it: you need one meat, one liquid, one seasoning and one veggie (or in my case, tons o’ veggies)! That’s true! I guess I need to start getting more creative! I do love a ton of veggies too so that works for me just fine!